Day 2: Depart from Paihia in the morning again, heading for Kaikohe for the second day of 44km riding.. This time, you will be riding in the opposite direction (but still downhill!) all the way past picturesque Lake Omapere on the old Rail Corridor to Okaihau for a rest stop. Carry on riding down through the beautiful Utakura Vally, following bubbling streams through backcountry farmland and untouched rural New Zealand. Some of these sights are 'only in Northland' type views- spot the cows! Stop along the way for a break at the lilly-pond or at one of the many picnic tables or patches or grass dotted along the route.. 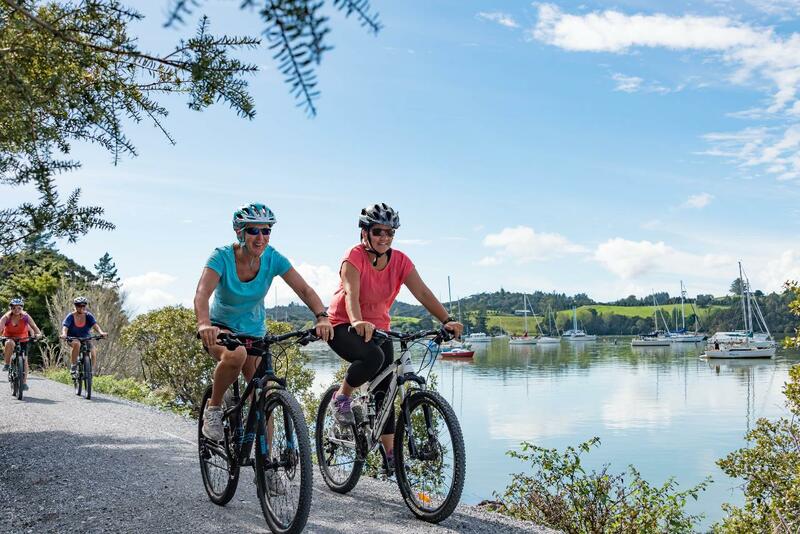 Finish your ride on a 2km boardwalk over the mangroves before a cold drink or brew at the famous Horeke Tavern, right on the edge of the Hokianga Harbour. 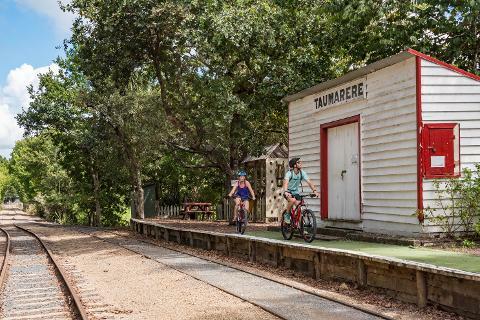 It is well worth to continue riding a further 3km to the Mangungu Mission Station at the end of the Twin Coast Cycle Trail. Your shuttle will take you back to Paihia from here at Horeke.